Product information "Heavy Duty Self-Supporting Glass Retaining Plate"
Strong aluminium and rubber roof glass retaining plate with fixings. 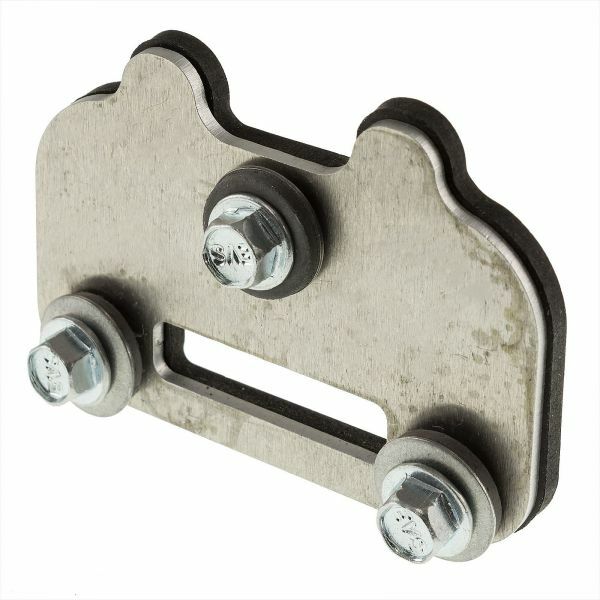 Designed for Molan Heavy Duty Self-Supporting Glazing Bars. Over time, glass roof units can slip down due to their weight, expansion and contraction, plus the loss of top capping compression. The result is often broken glazing bar end caps and more worryingly, space at the ridge or wall plate where water can get in. These plates fit behind the decorative End Caps to provide a once and for all solution to slipped roof panels and units. Simply screw to the end of each Molan Heavy Duty Self-Supporting Glazing Bar to stop roof glass slipping, once and for all. Related links to "Heavy Duty Self-Supporting Glass Retaining Plate"
Customer review for "Heavy Duty Self-Supporting Glass Retaining Plate"